Having an Urban Cultivator means you can harvest seconds before you plate, giving you access to fresh, organic microgreens and herbs year-round. Microgreens grown from an Urban Cultivator are packed with flavor, giving you the ability to elevate any dish. Microgreens not only take less time to grow when compared to their mature counterparts, but are denser in nutritional content. They're as healthy as they are flavorful. The Urban Cultivator is designed to take the latest and best hydroponic growing technology, and package it in an attractive high-quality appliance. 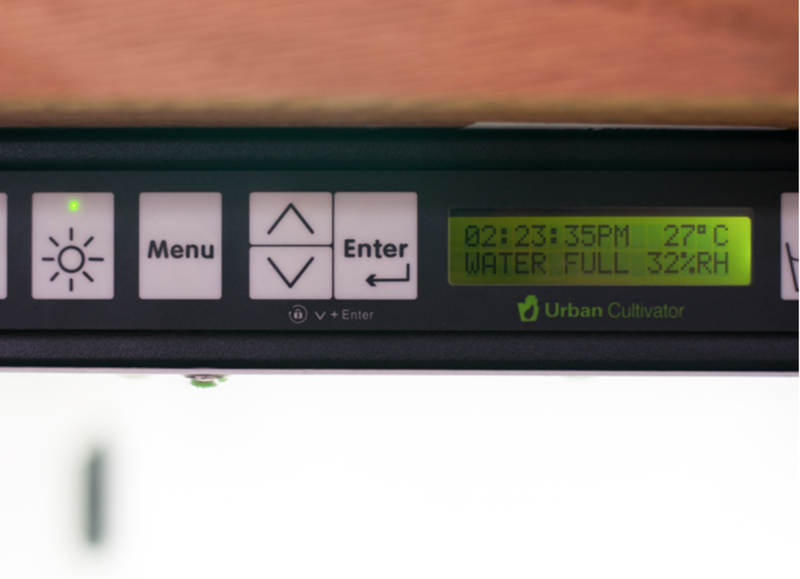 The Urban Cultivator is pre-programmed with optimal growing cycles that automatically control the light, the fan and the watering of your indoor garden. All you need to do is choose your bounty of fresh herbs and greens and add 100% organic food once a week. The Urban Cultivator was designed to be easy to use right from the moment that you take it out of its box. The Urban Cultivator features automated functions that make growing your own as easy as 1, 2, 3. We offer a wide variety of microgreens and herbs for you to grow. You can try lesser known greens and incorporate them into your cooking! Our seeds are non-GMO, and no sprays or chemicals are added in the growing process. You're getting 100% organic, healthy food. Interested in purchasing an Urban Cultivator? CALL Ben Barkan, HomeHarvest owner & founder (339) 927-6764 to order yours today!